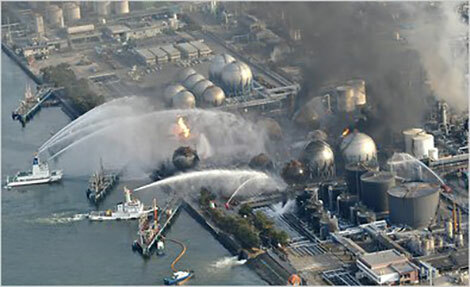 The disaster at the Fukushima Daiichi plant represents the potential damage when fail-safes fail. Photo courtesy of Suffolk University. Today’s foremost nuclear concern is neither accident nor war. It is terrorism. Given that terrorists typically lack the infrastructure and resources to develop a genuine atomic explosive, nuclear security focuses on preventing enriched materials from falling into the hands of terrorists who could use it to create an improvised nuclear device or “dirty bomb.” 444 power facilities crank out nuclear energy today. Each of these could be a target as terrorists work to secure enriched materials and radioactive wastes to build weapons. To make a “dirty bomb,” militant groups would need to steal materials from a facility or during transit. Per legal requirements, US nuclear sites have extensive security measures with regular reviews, but just last year, US radioactive materials were lost in Iraq. Whether or not these are in the possession of the Islamic State is debated, but the potential fallout is high regardless. According to a March 2016 report from the Harvard Kennedy School’s Belfer Center, well-protected nuclear facilities in Pakistan face multiple attacks, and research reactors which could have highly-enriched uranium sometimes lack adequate security measures. In high-risk or under-protected areas, terrorists could potentially successfully steal materials that would lead to a new level of disaster and panic. The IAEA’s Incident and Trafficking Database (ITDB) indicates that there were over 120 “confirmed incidents involving theft or loss” in 2006 alone. While this database does include radioactive materials used in industry and medicine as well, it nonetheless highlights a failure in nuclear security and the demand in an illegal market. Once stolen or lost, the materials are much more difficult to monitor. In fact, the number of other confirmed nuclear-related criminal activities, including unauthorized possessions and transactions, is typically around just ten incidents per year. Thefts are naturally much easier to observe, as an official entity will notice that something may be missing. Greater efforts to proactively ensure that materials are not lost are vital to ensuring a safe future for nuclear energy. Terrorists may not even need the materials themselves to wreak havoc and cause widespread damage and fear. Learning from past mistakes, scientists have developed the technology needed to prevent meltdowns from metastasizing into events of the caliber of those at Chernobyl or Fukushima Daiichi. The Chernobyl meltdown in 1986 was the result of testing a new security protocol. Workers turned off some safety features to try the new system, and it failed. Security mechanisms have evolved tremendously since, with layer upon layer of fail-safes, but these shells of defense are designed to stop mistakes, not to stop organized terrorists acting intentionally. On October 11, 2016, the IAEA voiced its concerns for cyber security in power facilities. There was a successful intrusion into an undisclosed power plant more than two years ago. The agency waited two years to release this statement, and just now acknowledges its concern over malware that could affect operations and safety protocols. If a power facility’s security is compromised, a disaster could occur and send nuclear fallout across a significant area. The Belfer Study noted that a South Korean nuclear plant was also hacked in December 2014. The researchers cited ineffective technological transitions for some new vulnerabilities, including a rush to switch from superannuated analog systems to modern digital systems, a call to integrate systems that subverts the effectiveness of fail-safes, and the accidental connection of isolated systems to the internet by interfacing with outside devices. In a Congressional Research Service report, the old analog systems are noted for their resistance to cyber attacks, but new monitoring systems and reactor controls are designed with a digital infrastructure that raises concerns as to the uncertain extent of vulnerability. As systems continue to evolve, defensive programmers must stay ahead of those who seek destruction. Technological developments are necessary to increase the efficacy and safety of nuclear power acquisition as it becomes a more prominent source of alternative, low-emission energy. In this quest, safety concerns can be haphazardly overlooked. 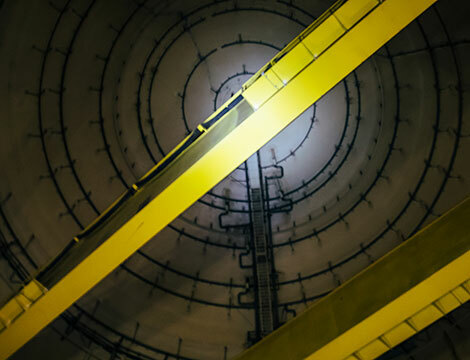 It is critical that the security of existing and future nuclear infrastructure becomes a global priority, not only for the United States and the IAEA, but for every nation with any nuclear materials. Joseph Hasbrouck is a staff writer for the Harvard International Review.